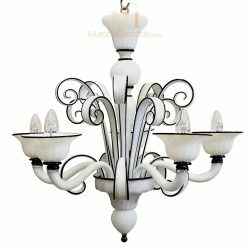 This magnificent luxury Venetian chandelier is offering an elegant look. 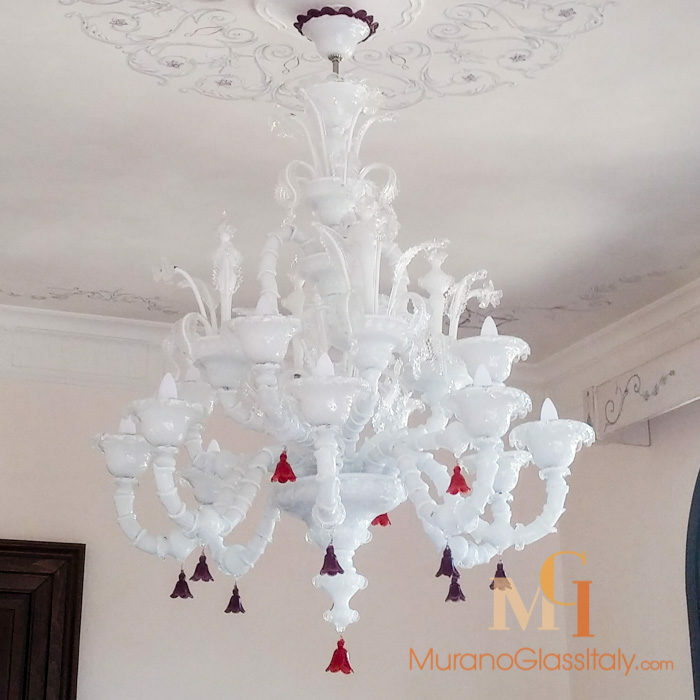 The ruby red glass pendants provide an eye-catching contrast to the milk white main body. 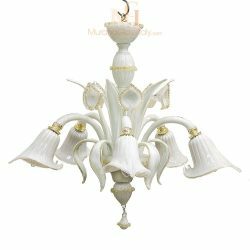 Let yourself be enchanted by the delicate details. 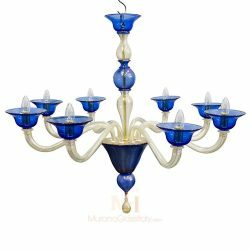 The excellent artisanship combined with an outstanding color theme create a true statement piece for your home. 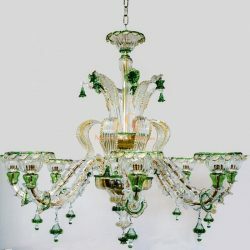 This example of delicate artistry goes back to the thousand-year-old Venetian glass blowing tradition. 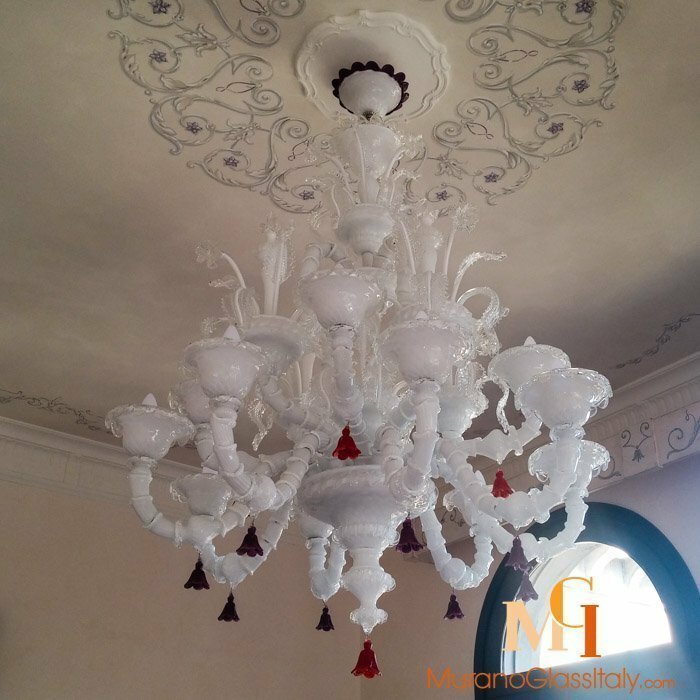 The Rezzonico chandelier is a 100% handmade art work from Venice, Italy. 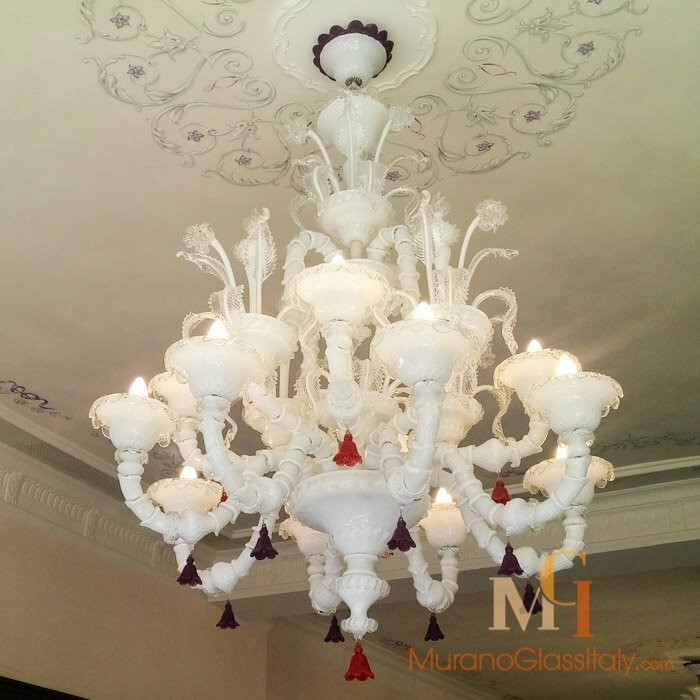 The chandelier can be customized in the number of lights and colors to fit your interior perfectly, for more information contact us at customer@muranoglassitaly.com.